Imitation is the sincerest form of flattery, so Will Smith was all about impersonating his son Jaden Smith on Tuesday in celebration of the young rapper surpassing 100 million streams on Spotify. 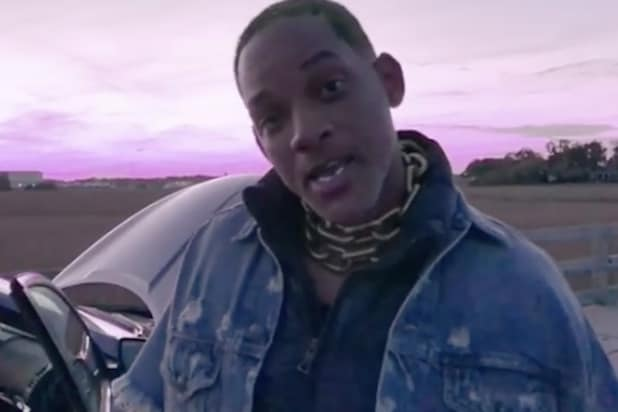 The Fresh Prince chose to create a shot-for-shot parody of the 19-year-old’s “Icon” video — yellow hair, gold chains and all — which he posted to Instagram to pay tribute to his little boy. However, his dorky dad side did shine through, as Smith’s car — not to mention footwear — was not as on point with his son’s impeccable outfit and ride in the original video. 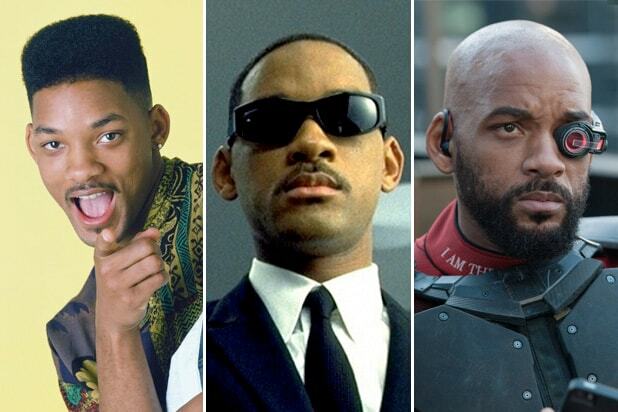 It also didn’t help that Will Smith loses his fake teeth about halfway through the video. But it is all worth it when the older Smith stops to tell his “Jay Diggy” how proud of him he is. “100 million streams! Congratulations man. 100 million. Congrats. I love you,” he said. Aww!